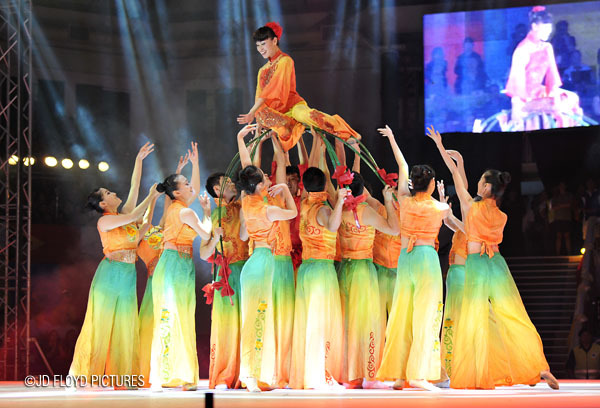 Young Chinese dancers did it again. 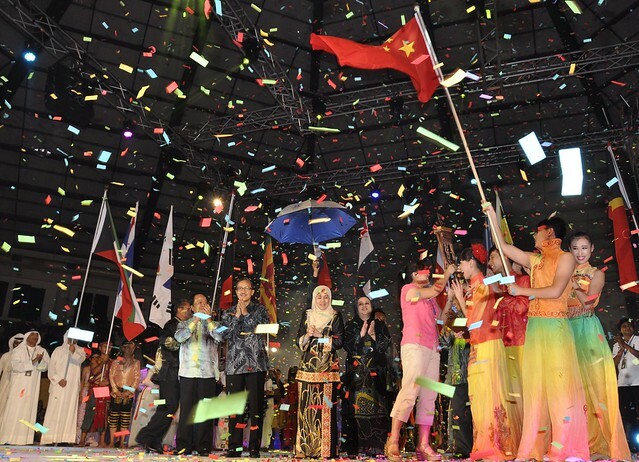 Emcee, Gan Po Tiau announced that the troupe from China also won the Prime Award last year. 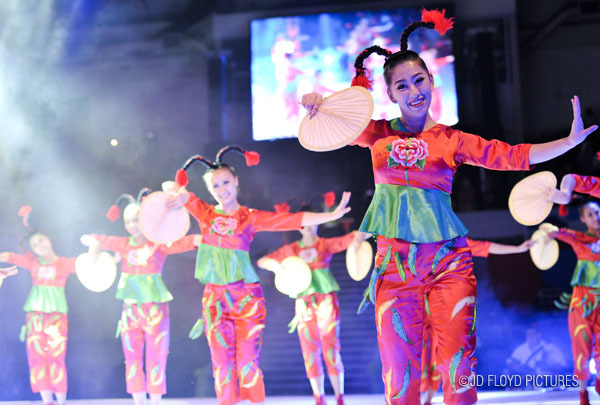 The dance troupe called Zhu Hai Hansen Dancing Group did enough to convince the jurors that they are the team to beat when they emerged champions in the 18-country folkdance competition. 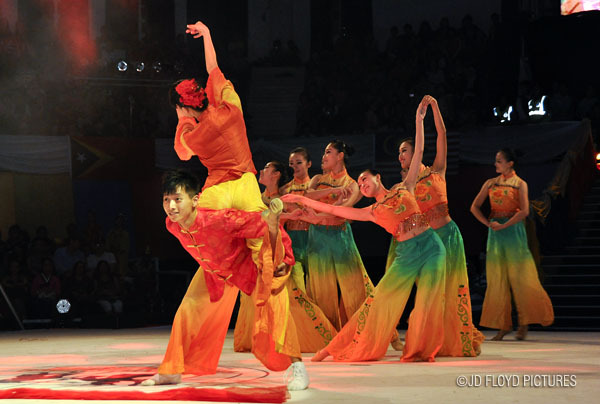 I don't quite get the point of competing a folkdance against another, as every single one is unique, beautiful in its way. But I suppose the organiser has another idea and perhaps it is a way to put some sort of pressure on every competing troupe. Many, many congratulation to the victorious team! Congratulations to the winners. I'm sure all the teams worked very hard just to get to this competition. Right. The presence of many different cultures of people from different parts of the world alone made the hall a wonderful place to be.